The Connecticut Painter Helps You Protect Your Investment, and Take Pride in Your Property. The Connecticut Painter takes pride in creating happiness and satisfaction. If you are planning on painting, keep in mind, not all Painters are created equal, you need an honest, affordable, quality minded painterfor your Connecticut home or business? Call Steve Schappert at 203-994-3950 right now. HELLO! My name is Steve Schappert aka “The Connecticut Painter” I have successfully completed over 1000 painting projects in 3 states. I am dedicated to 100% Customer Satisfaction. I value my 5 star ratings on Home Advisor and look forward to adding you to the list of happy clients. HAPPY CLIENTS that share their positive experiences with the Connecticut Painter create stable employment opportunities for members of the team and attracting the best skilled technicians makes my life easier. There is a circle and as hokey as it sounds we are all connected. Quality equals referrals! Read our Testimonials! 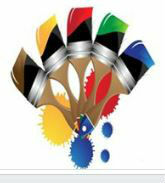 CUSTOMER SERVICE: Are you looking for the best painter in CT? Schappert was featured in the international trade publication, “Professional Painting Contractor” for his commitment to customer service and strict hiring practices. My goal for 2016 is to create a painting company in Connecticut that becomes known for legendary customer service. Call Steve Schappert at 203-994-3950 right now.